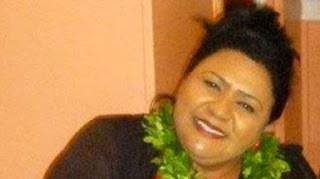 Tonga’s tourism community is shocked at the sudden death of the Tourism Ministry’s Expo Commissioner, Kololiana ʻOtuangū Naufahu at the weekend. Naufahu, 65, who is also the niece of the Queen Mother, died suddenly at Vaiola Hospital last Saturday. Kaniva News reports Tonga’s Minister of Health Saia Piukala has confirmed her death. “Yes Kololiana was admitted to Vaiola and she collapsed in the ward on Saturday evening”, Mr Piukala said. As a business woman Naufahu’s death has shocked Tonga’s tourism industry. Naufahu was the Ministry’s Expo Commissioner before she died and she was responsible for Tonga’s plan to participate at the World Expo 2017 scheduled to take place between June 10 and September 10 in Astana, Kazakhstan. “It is sympathetic that she died before the expo is due as she did her utmost and was passionate about it”, Mr Sika said. He said Naufahu has an easy-going demeanour that would allow her to get along with sponsors when the Tourism board was seeking funding from businesses and donors. He said Naufahu’s involvement with the Tonga Tourism Association (TTA) can be traced back into 2005. The association was an umbrella for various tourism sectors such as accommodation, transportation, handicrafts, entertainments, hotel, airline, restaurants, travel agents, tour operators, resorts, bars, night clubs and handicraft gift shops, the Minister said. As secretary of TTA she was instrumental in paving the way for Tonga to participate in various international expos and trade shows, the Minister said. “It was her favourite and she did it with her best”. She was an active member of Tonga Tourism’s current Board of Directors and she also involved in a lot of works with the Heilala Week Festival organisation. Naufahu was born on September 27, 1953. Her mother was Kaufo’ou Falekihetoa ‘Ahome’e, Queen Halaevalu Mata’aho’s young sister.